To celebrate the 20th Anniversary of the British Register for Complementary Practitioners (BRCP), the Institute for Complementary and Natural Medicine (ICNM) launched its first ever ICNM Awards in 2009 which recognises complementary medicine practitioners for their achievements and for raising the profile of complementary medicine. Dot Medical is very proud to announce that Denise Rankin has won the Outstanding Contribution to Complementary Medicine award. Denise has been a strong advocate of complementary medicine for many years and has worked within the House of Lords and with HRH Prince of Wales within the foundation for Integrated Medicine. 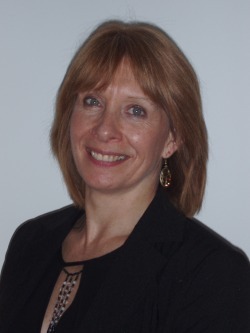 Denise is also the editor of the international journal Complementary Therapies and Clinical Practice and has been the editor for over fourteen years. Denise has edited 6 books on the topic of complementary medicine which have been translated in to several languages and written numerous publications and articles. Chair of the ICNM Trustees Beverly Martin says: "The ICNM Awards provides a great opportunity for complementary medicine practitioners to showcase their achievements. The Awards are also part of the continuing efforts of the ICNM to raise the standards and profile of complementary medicine generally."